Michael, born a native of England, was the second of five children. His mother being from Ireland and father from Gibraltar, the family moved to the United States in 1971 after a quick exit from Uganda, Africa, where Idi Amin Dada took over during a military coup. Michael has lived in Nashville, Tennessee since 1971. He started his commercial photography business in Nashville at the age of 24 and has just moved his photography to Westlight Studios in Franklin, Tennessee, just south of Nashville. With some college behind him, Michael took a suggestion from a friend and thought it would be fun to try acting as a career. After a visit to photo studio in Nashville for some commercial head shots, he walked away forgetting about acting and fixed on a photography career instead. Since that day he has never looked back. Michael took some basic courses in photography but had no concern about a diploma. He started to work as an assistant for some great local photographers and other national photographers coming into Nashville from larger markets. While working as a photographer’s assistant, Michael started to gain clients by shooting for local and out of town modeling agencies. Word of mouth advertising worked well for Michael and soon he gained larger clients. Michael has mostly worked within the music business shooting music promotional shots for artists, and record labels. Other clients include advertising companies, personal portraits, models , actors, celebrity and equine. 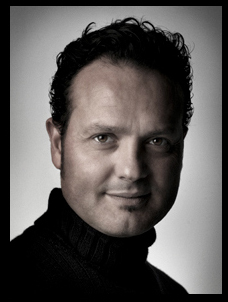 Michael, a photographer for the past 24 years, looks forward to offering his services to a growing clientele. Bio photo by long time friend Matthew Drumright.